Let the Christmas decorating games begin! 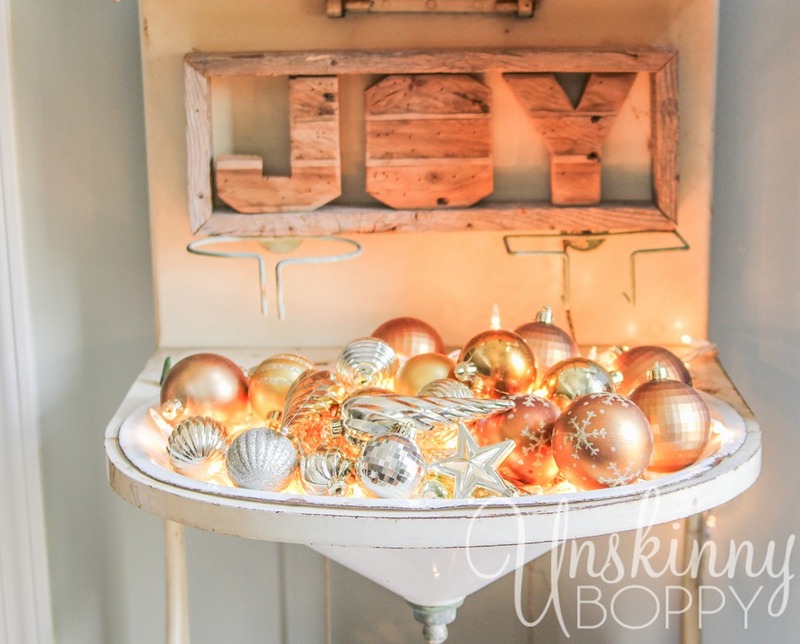 Today I am joining up with my junky-loving friends for the 2nd annual Junkers United Christmas blog hop. 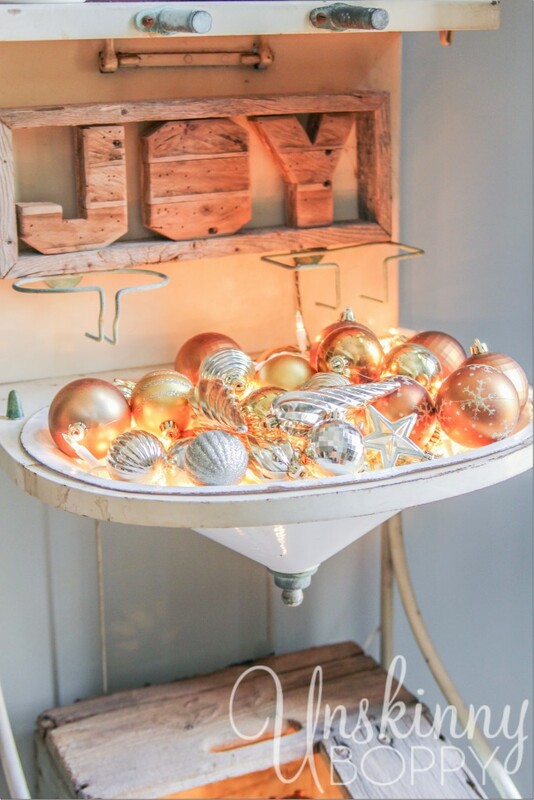 <–Click here to see last year’s junky little Christmas project! Over the years, my husband has brought home all sorts of antiques and junk that he finds during his treasure hunts. I am never at a loss for cool old things to blog about because of my junk-lovin’ man. For my birthday this year, he presented me with one of THE most unique finds to date… this antique shaving stand with a built-in sink and copper soap dispensers! See the pedals at the bottom? Those control the soap dispensers that are sticking out of the shelf just under the big wooden”B”. Sidenote: If you’re looking for the tutorial on my DIY Reindeer moss wreath, click here! He found this jewel at the Oak Mountain Emporium where they called it a French Shaving Stand. I have Googled all combinations of search terms from “french shaving sink” to “antique sink with pedals” but so far, nada. I cannot find anything like it online. Does anyone know what this cute little stand is actually called? Anyone have a link to one they can share? Feel free to leave it in the comments so we can all ooooh and aaaaah over it! So, this year, I decided to up the ante and fill up not one but TWO unique containers with the light/ornament combo. I moved the wooden toolbox to the bottom shelf of the shaving stand, added some ornaments and a light strand inside the sink and plugged it all up! Voila! Double the magic! As a bonus, I now have an entire Christmas vignette decorated by my front door in just minutes. I finally replaced the old photo collage on a column that used to sit in this spot, and I love how it opened up the space in front of my front door. It’s the perfect size for the area. Will you show your glow this year? Please share your pics with me if you do! I LOVE seeing how you decorate for Christmas! Now, y’all please be sure to go visit all of my junker friends and see their AMAZING Christmas ideas this year! These ladies never disappoint with their genius junk-filled ideas. Are you ready? 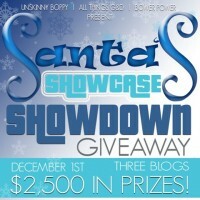 PS: Don’t forget to enter the Showcase Showdown Giveaway where I’m giving away over $2,500 in AWESOME prizes this week! 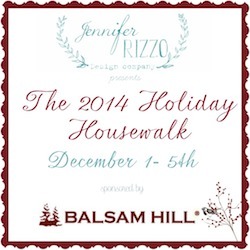 And, be sure to come back tomorrow to take my full home tour for Jen Rizzo’s 4th Annual Holiday House Walk! I’ll be Stop #18 on the tour! CANNOT WAIT!! 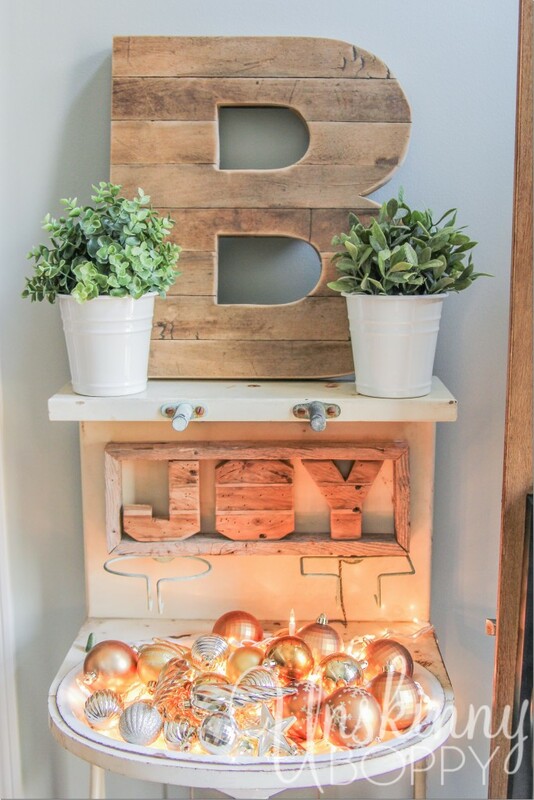 This vignette is both clever and gorgeous, Beth! The glow is awesome! What a sweeeet piece of junk you have there! My, my, your hubby gets a gold star for that one. 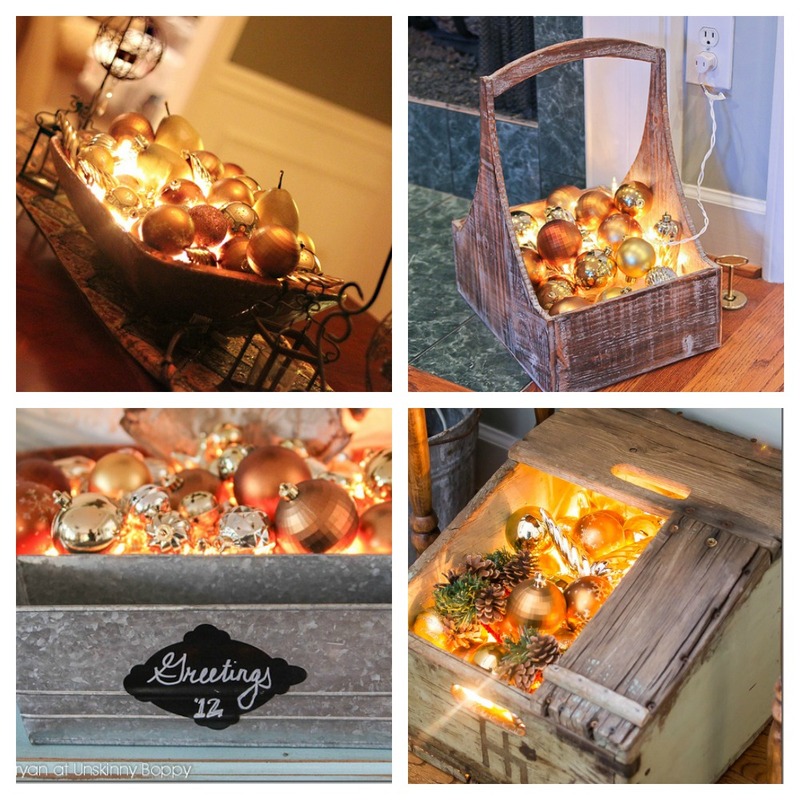 Adorable, Beth, and I love the simple lights in a barrel, bowl or box trick. I use that one too, and they end up being my favorite vignettes. Go figure, right? Happy Holidays. I’m drooling over that sink, as well as the effect of the lights with the ornaments – it’s amazing how simple something so lovely can be! 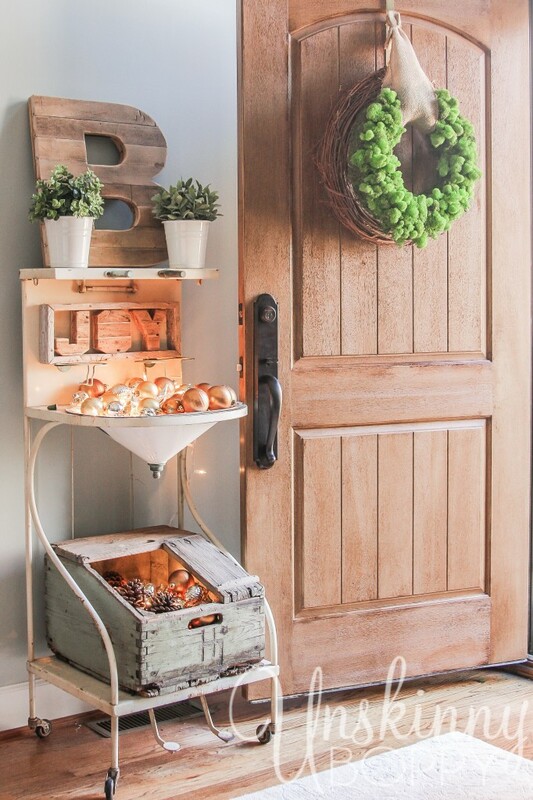 What a dreamy little spot…love the stand and what you did with it for Christmas. I have a feeling you will have fun with this piece all year long!! Love it Beth – all of the elements pulled together are perfect. But, I must admit, you really had me with that amazing vintage box filled with lights and ornaments! That stand is amazing when it’s not all lite up, but that takes it too a whole ‘nother shaving level! I love this, I want a shaving stand! I love the lights, they really are magical! Oh, Beth! It’s so pretty and glowy and wonderful! I just love everything about it – especially that big B!! I believe this piece you are featuring might be called a wash stand, which some called a shaving stand. They are also called lavabo’s. Does the piece on the bottom of the top bowl look like it might have opened for draining? See http://www.pinterest.com/vicleitao/old-wash-stands/ or http://www.pinterest.com/xchigalx/lavabo/ Good luck…either way it’s a cool piece! So so so so GORGEOUS! I’ve always wanted to adopt your signature illuminated ornament idea. Maybe this year! And you have most certainly found the perfect way to display it this year. What an amazing piece! 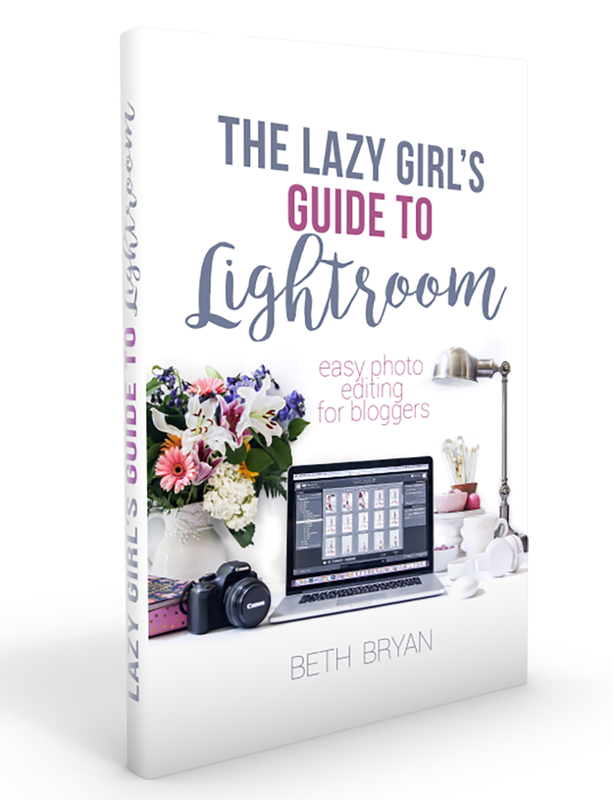 Your entire entry is jaw dropping gorgeous, Beth! That is gorgeous Beth! I love the lights! Holy cow, that is an amazing find! I’ve never seen one before. You seriously know how to design and highlight a space. (Hello! understatement.) I love the lights in this so much. Awesome Beth! The shaving stand is so unique, and I love it. I also like how you light your ornament displays. Neat idea! Love it. I have no idea what it is. I have found that when I need advice like this I go to Hometalk and I usually get an answer:) I love putting lights in all my displays, too. But there’s always the ugly cord to contend with. Have you found any cordless lights that are a decent length and don’t cost an arm and a leg? This is the most unusually perfect thing I have ever seen. What a great piece and you knew how to make it gorgeous for Christmas. I love lighted balls. Yes, that’s on my to do this. I’m hearing that from a whole lotta folks, Carla! Seems like I have a unique treasure on my hands here!